Wanda, congratulations! 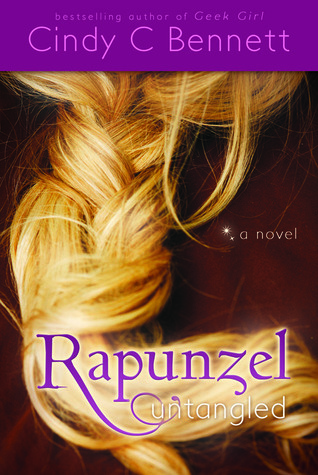 You have win a copy of Cindy C. Bennett’s newest novel, Rapunzel Untangled. Julie, Congratulations! You are the winner of our February BotM giveaway of the Unearthly Series by Cynthia Hand. You gals, should be receiving your congratulatory emails any minute now! Also, a special thank you to all who entered! As for you amazing people who follow my blog, thank you for sticking with me through my dark period/black out/MIA/radio silence. Thank you for your continued support. Now, while being back online, I happened upon some great giveaways I want to share with you guys. 1. Aptly titled the 100+ Giveaway on the Live To Read Blog. Giveaway ends March 15. I’ve entered and if you are interested in entering Click Here. 3. March Author’s Kindle Fire Giveaway which I learned about from FUOnlyKnew Blog. This giveaway is open internationally and ends March 31st. Those interested in entering, Click Here. 4. $100 Amazon Gift card is being given away from the Sab The Book Eater Blog. Simply Click Here to enter this giveaway. I know that the Book of the Month giveaway usually consists of my favorite read and reviewed book of the previous month. However, I know I haven’t really gotten around to posting the reviews for this series but I have spent some time lately reading these books and have been completely falling in love. Which honestly left me with the idea that I would love to be able to help someone also fall in love. So are you interested? You have until February 28th to enter for a chance to win Unearthly, Hallowed and Boundless. The winner will get the option of choosing ebook or hardcover. If in the US or Canada. International winner will be limited to ebook copies of the novels. This is once again a Rafflecopter Giveaway so enjoy and Good Luck! Synopsis: In the beginning, there’s a boy standing in the trees . . . .
Clara Gardner has recently learned that she’s part angel. Having angel blood run through her veins not only makes her smarter, stronger, and faster than humans (a word, she realizes, that no longer applies to her), but it means she has a purpose, something she was put on this earth to do. Figuring out what that is, though, isn’t easy. Her visions of a raging forest fire and an alluring stranger lead her to a new school in a new town. When she meets Christian, who turns out to be the boy of her dreams (literally), everything seems to fall into place and out of place at the same time. Because there’s another guy, Tucker, who appeals to Clara’s less angelic side. As Clara tries to find her way in a world she no longer understands, she encounters unseen dangers and choices she never thought she’d have to make between honesty and deceit, love and duty, good and evil. When the fire from her vision finally ignites, will Clara be ready to face her destiny? My Review: In the world Hand paints, angel bloods (Nephilim) are born to fulfill a purpose. Clara the protagonist, is 16 years old when her purpose starts being revealed to her. Clara’s purpose revolves around a boy who we soon learn is Christian. So the first half of the book is mostly about her acclimating herself to her new life while trying to learn as much as she can about Christian. And no, when I say that I am not hinting at her being a stalker. From the get go, the book is interesting. It is a little different, compared to other angel books I’ve read, but it’s a good different. As the storyline develops, the book takes on a life of its own. It took me hostage and would not let me go until the last word was read. It is addictive, captivating and romantic. Clara is drawn to Christian because of her visions (purpose). She’s literally the girl who meets the guy of her dreams. Christian is popular, humble, sweet, and very handsome with his classic good looks. However, and as you may have predicted, there is a love triangle. Clara’s second love interest is Tucker. He is ruggedly handsome. They start out having a love to hate sort of relationship. But as time moves on, they start to form a true friendship that in turn leads to more. The romance between Clara and Tucker was the main attraction in this book (for me). Tucker is such a great, like-able character. words. It felt a little forced and did not go along in the same style as the rest of the book. As you can see, I still enjoyed the book and would truly recommend it.